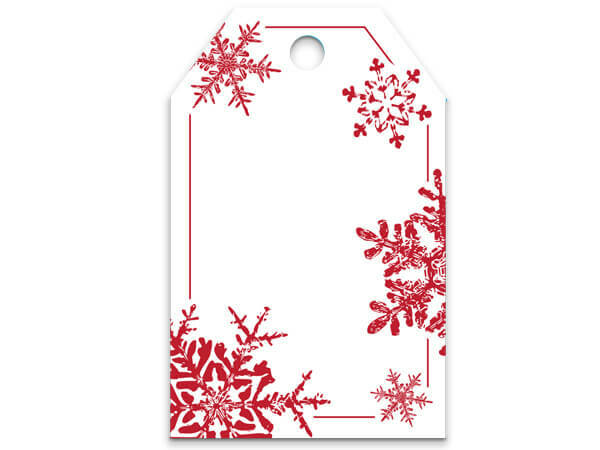 Red Snowflakes Printed Gift Tags 2-1/4x3-1/2"
Red Snowflakes die cut gift tags with hole for ribbon. Add your own string or ribbon (not included). Coordinates with our Christmas Snowflakes Red theme group. Made in the USA.